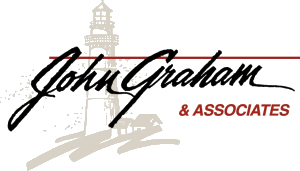 Cal Lyons : John Graham & Associates, Inc.
Cal Lyons is ready to be your first-choice, trusted financial advisor for all your financial needs. He is committed to providing service to his clients that exceeds their expectations. A graduate of Judson University in Elgin, Ill., Cal holds his FINRA Series 7 and 66 licenses and his state insurance licenses. He has more than a decade of experience as a financial consultant and 16 years of experience as a college administrator. As a college vice president, Cal earned his Certified Fund Raising Executive certification and led efforts to raise millions of dollars for scholarships, endowments and capital building campaigns. 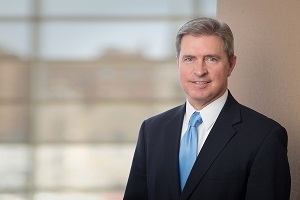 He is uniquely qualified to address issues that are relevant to individuals who are charitably minded and for organizations looking to enhance their financial strategies for their donors. When Cal was in his mid-30s, he took a look at his life and realized he hadn’t saved up any money for his young children’s college educations or for his own future retirement. That is when he decided to become a financial consultant so he could help other people in a similar position get a handle on their financial future. Now he helps clients in a variety of situations work toward achieving their unique financial goals. Cal was raised in Hanna City, Ill. He now lives in Eureka, Ill., with his wife, Joni. He has three married daughters and four wonderful grandchildren. Cal serves his community as the president of the Peoria Sunrise Rotary and has served on the Peoria Heights Chamber of Commerce Board. He and his wife are also active in their church.